William Golding was born in Cornwall, England, in 1911 and educated at Oxford University. His first book, Poems, was published in 1935. Following a stint in the Royal Navy during World War II, Golding wrote Lord of the Flies while teaching school. It was the first of several works, including the novels Pincher Martin, Free Fall, and The Inheritors and a play, The Brass Butterfly, which led to his being awarded the Nobel Prize for Literature in 1983. Lois Lowry is the two-time Newbery Award–winning author of Number the Stars, The Giver Quartet, and numerous other books for young adults. Stephen King is the author of more than fifty books, all of them worldwide bestsellers. He is the recipient of the 2003 National Book Foundation Medal for Distinguished Contribution to American Letters and the 2015 National Medal of Arts. Jennifer Buehler is an associate professor of educational studies at Saint Louis University and President of The Assembly on Literature for Adolescents of the National Council of Teachers of English. E. M. Forster was an English writer best remembered for novels including Passage to India, Howards End, and A Room with a View. 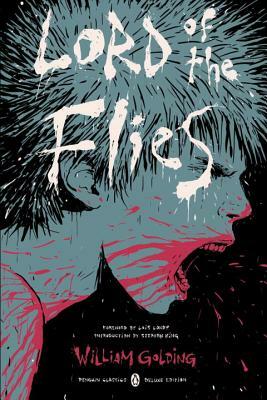 E. L. Epstein was a literary scholar and book editor who published the first American paperback edition of Lord of the Flies in 1959.